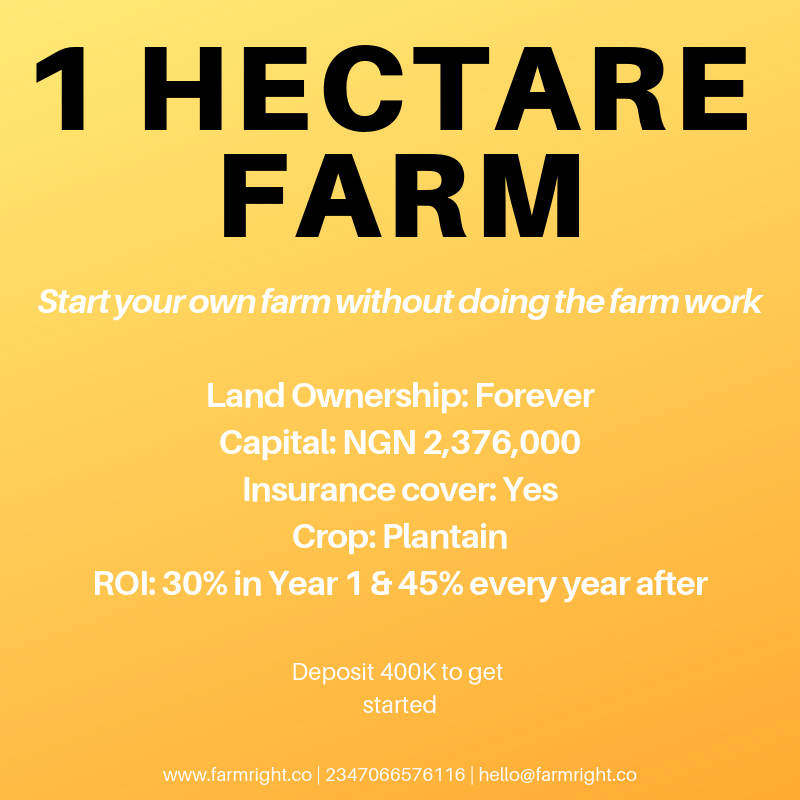 We have been farming for the past 15 years and we’ve spent our time and money to figure out what works and does not work in farming from poultry to crop plantations. We saw many people trying to get into farming but ultimately getting burnt because they did not know what mistakes to avoid, so we’ve decided to make the farming process as simple as possible and we are investing in a crop – plantain – that everyone loves. 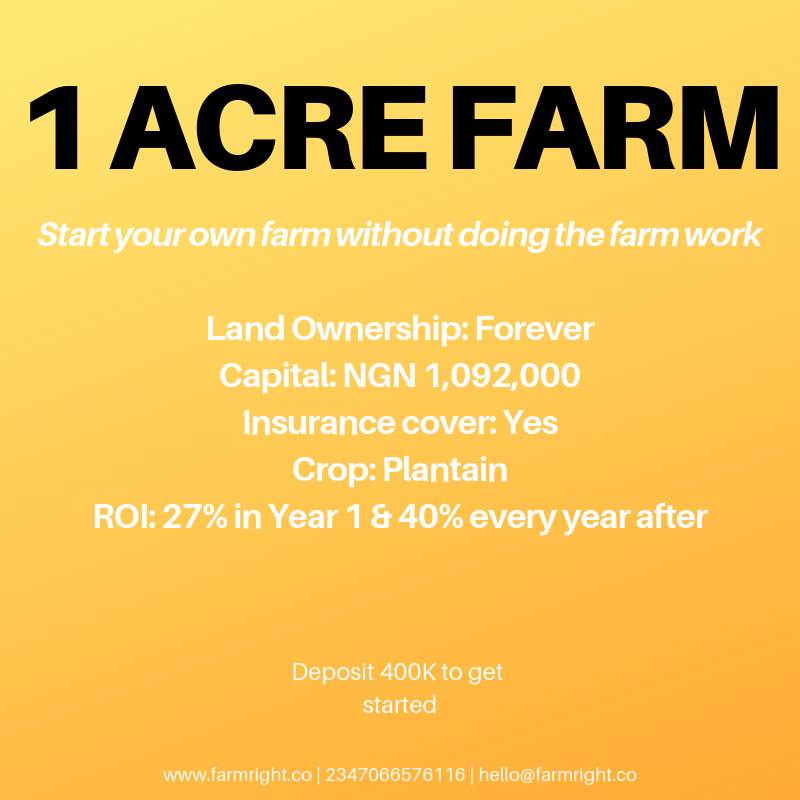 We will help you get farm land that you will own forever at a cheap price, and we help you farm the land, harvest your crop, and sell them to final consumers. It’s that easy. Click here to get started.